The Yamaha FC4 is the ideal companion for any pianist or keyboard player. 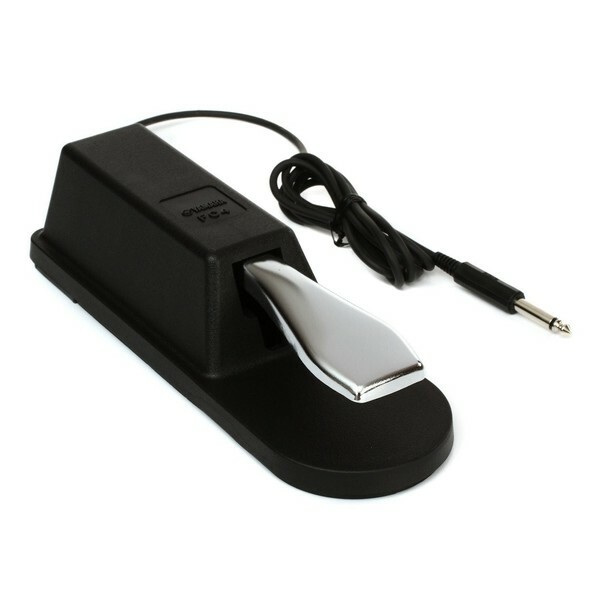 This robust sustain pedal is ideal for a range of instruments including electric keyboards, digital pianos, stage pianos and more. It can also be used for synthesizers and drum machines for added versatility. The premium-grade design incorporates the highest-quality components for optimal durability and expression. The pedal is simple and easy to use. Simply plug your pedal into your instrument’s ‘Sustain’ jack and use it to add expression to your playing style. The bottom the pedal features a specially-designed rubber grip that stays attached to the floor while you play, ensuring the pedal doesn’t slip away during performances.